The recorded history of Texas begins with the arrival of the first Spanish conquistadors in the region of North America now known as Texas in 1519, who found the region populated by numerous Native American tribes. The Native Americans' ancestors had been there for more than 10,000 years as evidenced by the discovery of the remains of prehistoric Leanderthal Lady. During the period of recorded history from A.D. 1519 to 1848, all or parts of Texas were claimed by five countries: France, Spain, Mexico, the Republic of Texas, the United States of America. The first European base was established in 1680, along the upper Rio Grande river, near modern El Paso, Texas with the exiled Spaniards and Native Americans from the Isleta Pueblo during the Pueblo Revolt, also known as Popé's Rebellion, from today's northern New Mexico. 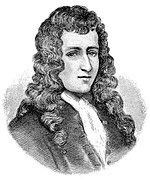 In 1682, René-Robert Cavelier, Sieur de La Salle (1643-1687), established a French colony at Fort Saint Louis, after sailing down and exploring the Mississippi River from New France (modern Canada) and the Great Lakes. He planted this early French presence at Fort Saint Louis near Matagorda Bay, along the Gulf of Mexico coast (near modern Inez, Texas), even before the establishment of New Orleans on the lower Mississippi River. The colony was killed off by Native Americans after three years, but Spanish authorities felt pressed to establish settlements to keep their claim to the land. Several Roman Catholic missions were established in East Texas; they were abandoned in 1691. Twenty years later, concerned with the continued French presence in neighboring Louisiana, Spanish authorities again tried to colonize Texas. Over the next 110 years, Spain established numerous villages, presidios, and missions in the province. A small number of Spanish settlers arrived, in addition to missionaries and soldiers. Spain signed agreements with colonizers from the United States, bordering the province to the northeast ever since their Louisiana Purchase from the Emperor Napoleon I and his French Empire (France) in 1803. When Mexico won its independence from Spain in 1821, Mexican Texas was part of the new nation. To encourage settlement, Mexican authorities allowed organized immigration from the United States, and by 1834, over 30,000 Anglos lived in Texas, compared to 7,800 Mexicans. After Santa Anna's dissolution of the Constitution of 1824 and his political shift to the right, issues such as lack of access to courts, the militarization of the region's government (e.g., response to Saltillo-Monclova problem), and self-defense issues resulting in the confrontation in Gonzales, public sentiment in Mexican and Anglo Texans turned towards revolution. Santa Anna's invasion of the territory after putting down the rebellion in Zacatecas provoked the conflict of 1836. The Texian forces fought and won the Texas Revolution in 1835–1836. Although not recognized as such by Mexico, Texas declared itself an independent nation, the Republic of Texas. Attracted by the rich lands for cotton plantations and ranching, tens of thousands of immigrants arrived from the U.S. and from Germany as well. In 1845, Texas joined the United States, becoming the 28th state, when the United States annexed it. Only after the conclusion of the Mexican–American War, with the Treaty of Guadalupe Hidalgo in 1848, did Mexico recognize Texan independence. Texas declared its secession from the United States in 1861 to join the Confederate States of America. Only a few battles of the American Civil War were fought in Texas; most Texas regiments served in the east. When the war ended, the enslaved African Americans were freed. Texas was subject to Reconstruction, a process that left a residue of bitterness among whites. They regained political dominance and passed laws in the late 19th century creating second-class status for blacks in a Jim Crow system of segregation and disenfranchising them in 1901 through passage of a poll tax. Blacks were excluded from the formal political system until after passage of federal civil rights legislation in the mid-1960s. Cotton, ranching, and farming dominated the economy, with railroad construction after 1870 a major factor in the development of new cities away from rivers and waterways. Toward the end of the 19th century, timber became an important industry in Texas as well. In 1901 a petroleum discovery at Spindletop Hill, near Beaumont, was developed as the most productive oil well the world had ever seen. The wave of oil speculation and discovery that followed came to be known as the "Oil Boom", permanently transforming and enriching the economy of Texas. Agriculture and ranching gave way to a service-oriented society after the boom years of World War II. Segregation ended in the 1960s due to federal legislation. Politically, Texas changed from the virtually one-party Democratic state achieved following disenfranchisement, to a highly contested political scene, until 2000 when it was solidly Republican. The economy of Texas has continued to grow rapidly, becoming the second-largest state in population in 1994, and became economically highly diversified, with a growing base in new technology. The Paleo-Indians who lived in Texas between 9200 – 6000 BC may have links to Clovis and Folsom cultures; these nomadic people hunted mammoths and bison latifrons using atlatls. They extracted Alibates flint from quarries in the panhandle region. Beginning during the 4th millennium BC, the population of Texas increased despite a changing climate and the extinction of giant mammals. Many pictograms from this era, drawn on the walls of caves or on rocks, are visible in the state, including at Hueco Tanks and Seminole Canyon. Native Americans in East Texas began to settle in villages shortly after 500 BC, farming and building the first burial mounds. They were influenced by the Mississippian culture, which had major sites throughout the Mississippi basin. In the Trans-Pecos area, populations were influenced by Mogollon culture. From the 8th century, the bow and arrow appeared in the region, manufacture of pottery developed, and Native Americans increasingly depended on bison for survival. Obsidian objects found in various Texan sites attest of trade with cultures in present-day Mexico and the Rocky Mountains, as the material is not found locally. After the American Revolution, many tribes were being consistently moved to migrate further west and give up their lands to American citizens. This may have been due to the unusual circumstance that the United States still considered many of these tribes as foreign nations, but outwardly claimed the land they stood on. That being said, the main push was for new, rich farmland as the plantation-style farming on the east coast soon damaged the native soil. Many tribes in the early 19th century became fed up with these practices, choosing to migrate to Texas, which was still a part of New Spain at the time. These tribes include the Mingo Seneca, the Lenape, the Kickapoo and the Muscogee. They were initially welcomed by the locals, ignored by the Spanish and played a major role in the Texas Revolution. The Native Americans also had a heavy influence in early cowboy culture in terms of dress, cuisine & the introduction of the Lasso. However, after Texas became part of the United States, most of the native people of Texas who had not integrated into White-styled culture were pushed into Indian Territory or moved further west. The name Texas derives from táyshaʼ, a word in the Caddoan language of the Hasinai, which means "friends" or "allies." Native Americans determined the fate of European explorers and settlers depending on whether a tribe was kind or warlike. Friendly tribes taught newcomers how to grow indigenous crops, prepare foods, and hunting methods for the wild game. Warlike tribes made life difficult and dangerous for explorers and settlers through their attacks and resistance to European conquest. Many Native Americans died of new infectious diseases, which caused high fatalities and disrupted their cultures in the early years of colonization. In the 19th century, they resisted European and American expansion, and there was frequent warfare. After the American Civil War, the United States Army was used to suppress resistance in the Indian Wars. Three federally recognized Native American tribes reside in Texas: the Alabama-Coushatta Tribes of Texas, the Kickapoo Traditional Tribe of Texas, and the Ysleta Del Sur Pueblo of Texas. A remnant of the Choctaw tribe in East Texas still lives in the Mt. Tabor Community near Overton, Texas. The first European to see Texas was Alonso Álvarez de Pineda, who led an expedition for the governor of Jamaica, Francisco de Garay, in 1520. While searching for a passage between the Gulf of Mexico and Asia, Álvarez de Pineda created the first map of the northern Gulf Coast. This map is the earliest recorded document of Texas history. Between 1528 and 1535, four survivors of the Narváez expedition, including Álvar Núñez Cabeza de Vaca and Estevanico, spent six and a half years in Texas as slaves and traders among various native groups. Cabeza de Vaca was the first European to explore the interior of Texas. Although Álvarez de Pineda had claimed the area that is now Texas for Spain, the area was essentially ignored for over 160 years. Its initial settlement by Europeans occurred by accident. In April 1682, French nobleman René-Robert Cavelier, Sieur de La Salle had claimed the entire Mississippi River Valley for France. The following year, he convinced King Louis XIV to establish a colony near the Mississippi, essentially splitting Spanish Florida from New Spain. La Salle's colonization expedition left France on July 24, 1684 and soon lost one of its supply ships to Spanish privateers. A combination of inaccurate maps, La Salle's previous miscalculation of the latitude of the mouth of the Mississippi River, and overcorrecting for the Gulf currents led the ships to be unable to find the Mississippi. Instead, they landed at Matagorda Bay in early 1685, 400 miles (644 km) west of the Mississippi. In February, the colonists constructed Fort Saint Louis. René-Robert Cavelier, Sieur de La Salle founded the French colony in Texas. After the fort was constructed, one of the ships returned to France, and the other two were soon destroyed in storms, stranding the settlers. La Salle and his men searched overland for the Mississippi River, traveling as far west as the Rio Grande and as far east as the Trinity River. Disease and hardship laid waste to the colony, and by early January 1687, fewer than 45 people remained. That month, a third expedition launched a final attempt to find the Mississippi. The expedition experienced much infighting, and La Salle was ambushed and killed somewhere in East Texas. The Spanish learned of the French colony in late 1685. Feeling that the French colony was a threat to Spanish mines and shipping routes, King Carlos II's Council of war recommended the removal of "this thorn which has been thrust into the heart of America. The greater the delay the greater the difficulty of attainment." Having no idea where to find La Salle, the Spanish launched ten expeditions—both land and sea—over the next three years. The last expedition discovered a French deserter living in Southern Texas with the Coahuiltecans. News of the destruction of the French fort "created instant optimism and quickened religious fervor" in Mexico City. Spain had learned a great deal about the geography of Texas during the many expeditions in search of Fort Saint Louis. In March 1690, Alonso De León led an expedition to establish a mission in East Texas. Mission San Francisco de los Tejas was completed near the Hasinai village of Nabedaches in late May, and its first mass was conducted on June 1. On January 23, 1691, Spain appointed the first governor of Texas, General Domingo Terán de los Ríos. On his visit to Mission San Francisco in August, he discovered that the priests had established a second mission nearby, but were having little luck converting the natives to Christianity. The Indians regularly stole the mission cattle and horses and showed little respect to the priests. When Terán left Texas later that year, most of the missionaries chose to return with him, leaving only three religious people and nine soldiers at the missions. The group also left behind a smallpox epidemic. The angry Caddo threatened the remaining Spaniards, who soon abandoned the fledgling missions and returned to Coahuila. For the next 20 years, Spain again ignored Texas. Texas in 1718, Guillaume de L'Isle map, approximate state area highlighted, northern boundary was indefinite. The new missions were over 400 miles (644 km) from the nearest Spanish settlement, San Juan Bautista. Martín de Alarcón, who had been appointed governor of Texas in late 1716, wished to establish a way station between the settlements along the Rio Grande and the new missions in East Texas. Alarcón led a group of 72 people, including 10 families, into Texas in April 1718, where they settled along the San Antonio River. Within the next week, the settlers built mission San Antonio de Valero and a presidio, and chartered the municipality of San Antonio de Béxar, now San Antonio, Texas. The following year, the War of the Quadruple Alliance pitted Spain against France, which immediately moved to take over Spanish interests in North America. In June 1719, seven Frenchmen from Natchitoches took control of the mission San Miguel de los Adaes from its sole defender, who did not know that the countries were at war. The French soldiers explained that 100 additional soldiers were coming, and the Spanish colonists, missionaries, and remaining soldiers fled to San Antonio. The new governor of Coahuila and Texas, the Marquis de San Miguel de Aguayo, drove the French from Los Adaes without firing a shot. He then ordered the building of a new Spanish fort Nuestra Señora del Pilar de Los Adaes, located near present-day Robeline, Louisiana, only 12 mi (19 km) from Natchitoches. The new fort became the first capital of Texas, and was guarded by six cannons and 100 soldiers. The six East Texas missions were reopened, and an additional mission and presidio were established at Matagorda Bay on the former site of Fort Saint Louis. Although the missionaries had been unable to convert the Hasinai tribe of East Texas, they did become friendly with the natives. The Hasinai were bitter enemies of the Lipan Apache, who transferred their enmity to Spain and began raiding San Antonio and other Spanish areas. A temporary peace was finally negotiated with the Apache in 1749, and at the request of the Indians a mission was established along the San Saba River northwest of San Antonio. The Apaches shunned the mission, but the fact that Spaniards now appeared to be friends of the Apache angered the Apache enemies, primarily the Comanche, Tonkawa, and Hasinai tribes, who promptly destroyed the mission. In 1762, France finally relinquished their claim to Texas by ceding all of Louisiana west of the Mississippi River to Spain as part of the treaty to end the Seven Years' War. Spain saw no need to continue to maintain settlements near French outposts and ordered the closure of Los Adaes, making San Antonio the new provincial capital. The residents of Los Adaes were relocated in 1773. After several attempts to settle in other parts of the province, the residents returned to East Texas without authorization and founded Nacogdoches. In 1799, Spain gave Louisiana back to France in exchange for the promise of a throne in central Italy. Although the agreement was signed on October 1, 1800, it did not go into effect until 1802. The following year, Napoleon sold Louisiana to the United States. The original agreement between Spain and France had not explicitly specified the borders of Louisiana, and the descriptions in the documents were ambiguous and contradictory. The United States insisted that its purchase also included most of West Florida and all of Texas. Thomas Jefferson claimed that Louisiana stretched west to the Rocky Mountains and included the entire watershed of the Mississippi and Missouri Rivers and their tributaries, and that the southern border was the Rio Grande. Spain maintained that Louisiana extended only as far as Natchitoches, and that it did not include the Illinois Territory. Texas was again considered a buffer province, this time between New Spain and the United States. The disagreement would continue until the signing of the 1819 Adams–Onís Treaty, at which point Spain gave Florida to the United States in return for undisputed control of Texas. During much of the dispute with the United States, governance of New Spain was in question. In 1808, Napoleon forced the Spanish king to abdicate the throne and appointed Joseph Bonaparte as the new monarch. A shadow government operated out of Cadiz during Joseph's reign. Revolutionaries within Mexico and the United States unsuccessfully combined to declare Texas and Mexico independent. Spanish troops reacted harshly, looting the province and executing any Tejanos accused of having Republican tendencies. By 1820 fewer than 2,000 Hispanic citizens remained in Texas. The situation did not normalize until 1821, when Agustin de Iturbide launched a drive for Mexican Independence. Texas became a part of the newly independent nation without a shot being fired, ending the period of Spanish Texas. Mission Concepcion is one of the San Antonio missions which is part of a National Historic Landmark. Spanish control of Texas was followed by Mexican control of Texas, and it can be difficult to separate the Spanish and Mexican influences on the future state. The most obvious legacy is that of the language; every major river in modern Texas, except the Red River, has a Spanish or Anglicized name, as do 42 of the state's 254 counties. Numerous towns also bear Spanish names. An additional obvious legacy is that of Roman Catholicism. At the end of Spain's reign over Texas, virtually all inhabitants practiced the Catholic religion, and it is still practiced in Texas by a large number of people. The Spanish missions built in San Antonio to convert Indians to Catholicism have been restored and are a National Historic Landmark. Texas eventually adopted much of the Anglo-American legal system, but some Spanish legal practices were retained, including homestead exemption, community property, and adoption. From the 1750s to the 1850s, the Comanche were the dominant group in the Southwest, and the domain they ruled was known as Comancheria. Confronted with Spanish, Mexican, and American outposts on their periphery in New Mexico, Texas, and Coahuila and Nueva Vizcaya in northern Mexico, the Comanche worked to increase their own safety, prosperity and power. The population in 1810–1830 was 7,000 to 8,000. Their empire collapsed when their camps and villages were repeatedly decimated by epidemics of smallpox and cholera in the late 1840s, and in bloody conflict with settlers, the Texas Rangers, and the U.S. Army. The population plunged from 20,000 to just a few thousand by the 1870s. The Comanche were no longer able to deal with the U.S. Army, which took over control of the region after the Mexican–American War ended in 1848. The long-term imprint of the Comanche on the Indian and Hispanic culture has been demonstrated by scholars such as Daniel J. Gelo and Curtis Marez. Stephen F. Austin, the "Father of Texas." In 1821, the Mexican War for Independence severed the control that Spain had exercised on its North American territories, and the new country of Mexico was formed from much of the lands that had comprised New Spain, including Spanish Texas. The 1824 Constitution of Mexico joined Texas with Coahuila to form the state of Coahuila y Tejas. The Congress did allow Texas the option of forming its own state "as soon as it feels capable of doing so." The same year, Mexico enacted the General Colonization Law, which enabled all heads of household, regardless of race or immigrant status, to claim land in Mexico. Mexico had neither manpower nor funds to protect settlers from near-constant Comanche raids and it hoped that getting more settlers into the area could control the raids. The government liberalized its immigration policies, allowing for settlers from the United States to immigrate to Texas. The first empresarial grant had been made under Spanish control to Moses Austin. The grant was passed to his son Stephen F. Austin, whose settlers, known as the Old Three Hundred, settled along the Brazos River in 1822. The grant was later ratified by the Mexican government. Twenty-three other empresarios brought settlers to the state, the majority from the United States of America. Many (estimate of about 1 in 70 being the national average for 1860) of the Anglo-American settlers owned slaves. Mexico granted Texas a one-year exemption from the national edict of 1829 outlawing slavery, but Mexican president Anastasio Bustamante ordered that all slaves be freed in 1830. To circumvent the law, the colonists converted their slaves into indentured servants "for life." By 1836 there were 5,000 enslaved African Americans in Texas. Bustamante outlawed the immigration of United States citizens to Texas in 1830. Several new presidios were established in the region to monitor immigration and customs practices. The new laws also called for the enforcement of customs duties, angering both native Mexican citizens (Tejanos) and Anglos. In 1832, a group of men led a revolt against customs enforcement in Anahuac. These Anahuac Disturbances coincided with a revolt in Mexico against the current president. Texans sided with the federalists against the current government and after the Battle of Nacogdoches, drove all Mexican soldiers out of East Texas. Texans took advantage of the lack of oversight to agitate for more political freedom, resulting in the Convention of 1832. Among other issues, the convention demanded that U.S. citizens be allowed to immigrate into Texas, and requested independent statehood for the area. The following year, Texians reiterated their demands at the Convention of 1833. After presenting their petition, courier Stephen F. Austin was jailed for the next two years in Mexico City on suspicion of treason. Although Mexico implemented several measures to appease the colonists, President Antonio Lopez de Santa Anna's measures to transform Mexico from a federalist to a centralist state provided an excuse for the Texan colonists to revolt. The vague unrest erupted into armed conflict on October 2, 1835 at the Battle of Gonzales, when Texans repelled a Mexican attempt to retake a small cannon. This launched the Texas Revolution, and over the next three months, the Texian Army successfully defeated all Mexican troops in the region. On March 2, 1836, Texans signed the Texas Declaration of Independence at Washington-on-the-Brazos, effectively creating the Republic of Texas. The revolt was justified as necessary to protect basic rights and because Mexico had annulled the federal pact. The majority of the colonists were from the United States; they said that Mexico had invited them to move to the country, but they were determined "to enjoy" the republican institutions to which they were accustomed in their native land. Many of the Texas settlers believed the war to be over and left the army after the initial string of victories. The remaining troops were largely recently-arrived adventurers from the United States; according to historian Alwyn Barr, the numerous American volunteers "contributed to the Mexican view that Texan opposition stemmed from outside influences." The Mexican congress responded to this perceived threat by authorizing the execution of any foreigner found fighting in Texas; they did not want prisoners of war. As early as October 27, Mexican president Antonio Lopez de Santa Anna had been preparing to quell the unrest in Texas. In early 1836, Santa Anna personally led a 6,000-man force toward Texas. His force was large but ill-trained. Santa Anna led the bulk of the troops to San Antonio de Bexar to besiege the Alamo Mission, while General Jose de Urrea led the remaining troops up the coast of Texas. Urrea's forces soon defeated all the Texian resistance along the coast, culminating in the Goliad Massacre, where they executed 300 Texian prisoners of war. After a thirteen-day siege, Santa Anna's forces overwhelmed the nearly 200 Texians defending the Alamo, and killed the prisoners. "Remember the Alamo! Remember Goliad!" became a battle cry of the Texas Revolution. News of the defeats sparked the Runaway Scrape, where much of the population of Texas and the Texas provisional government fled east, away from the approaching Mexican army. Many settlers rejoined the Texian army, then commanded by General Sam Houston. After several weeks of maneuvering, on April 21, 1836, the Texian Army attacked Santa Anna's forces near the present-day city of Houston at the Battle of San Jacinto. They captured Santa Anna and forced him to sign the Treaties of Velasco, ending the war. The 1st Congress of the Republic of Texas convened in October 1836 at Columbia (now West Columbia). It overturned the Mexican prohibition of slavery, although it allowed slaveholders to free their slaves if they desired. Stephen F. Austin, known as the Father of Texas, died December 27, 1836, after serving two months as Secretary of State for the new Republic. In 1836, five sites served as temporary capitals of Texas (Washington-on-the-Brazos, Harrisburg, Galveston, Velasco and Columbia) before President Sam Houston moved the capital to Houston in 1837. In 1839, the capital was moved to the new town of Austin by the next president, Mirabeau B. Lamar. Internal politics of the Republic were based on the conflict between two factions. The nationalist faction, led by Mirabeau B. Lamar, advocated the continued independence of Texas, the expulsion of the Native Americans, and the expansion of Texas to the Pacific Ocean. Their opponents, led by Sam Houston, advocated the annexation of Texas to the United States and peaceful co-existence with Native Americans. Although Texas governed itself, Mexico refused to recognize its independence. On March 5, 1842, a Mexican force of over 500 men, led by Ráfael Vásquez, invaded Texas for the first time since the revolution. They soon headed back to the Rio Grande after briefly occupying San Antonio. 1,400 Mexican troops, led by the French mercenary general Adrian Woll launched a second attack and captured San Antonio on September 11, 1842. A Texas militia retaliated at the Battle of Salado Creek. However, on September 18, this militia was defeated by Mexican soldiers and Texas Cherokee Indians during the Dawson Massacre. The Mexican army would later retreat from the city of San Antonio. Mexico's attacks on Texas intensified the conflict between the political factions in an incident known as the Texas Archive War in 1842. To "protect" the Texas national archives, President Sam Houston ordered them out of Austin. Austin residents, suspicious of the president's motives because of his avowed disdain of the capital, forced the archives back to Austin at gunpoint. The Texas Congress admonished Houston for the incident, and the incident would solidify Austin as Texas's seat of government for the Republic and the future state. On February 28, 1845, the U.S. Congress narrowly passed a bill that authorized the United States to annex the Republic of Texas if it so voted. The legislation set the date for annexation for December 29 of the same year. On October 13 of the same year, a majority of voters in Texas approved a proposed constitution that specifically endorsed slavery and the slave trade. This constitution was later accepted by the U.S. Congress, making Texas a U.S. state on the same day annexation took effect (therefore bypassing a territorial phase). The Mexican government had long warned that annexation would mean war with the United States. When Texas joined the U.S., the Mexican government broke diplomatic relations with the United States. The United States now assumed the claims of Texas when it claimed all land north of the Rio Grande. In June 1845, President James K. Polk sent General Zachary Taylor to Texas, and by October, 3,500 Americans were on the Nueces River, prepared to defend Texas from a Mexican invasion. On November 10, 1845, Polk ordered General Taylor and his forces south to the Rio Grande, into disputed territory that Mexicans claimed as their own. Mexico claimed the Nueces River—about 150 miles (240 km) north of the Rio Grande—as its border with Texas. On April 25, 1846, a 2,000-strong Mexican cavalry detachment attacked a 70-man U.S. patrol that had been sent into the contested territory north of the Rio Grande and south of the Nueces River. The Mexican cavalry routed the patrol, killing 16 U.S. soldiers in what later became known as the Thornton Affair. Both nations declared war. In the ensuing Mexican–American War, there were no more battles fought in Texas, but it became a major staging point for the American invasion of northern Mexico. One of the primary motivations for annexation was the Texas government's huge debts. The United States agreed to assume many of these upon annexation. However, the former Republic never fully paid off its debt until the Compromise of 1850. In return for $10 million, a large portion of Texas-claimed territory, now parts of Colorado, Kansas, Oklahoma, New Mexico, and Wyoming, was ceded to the Federal government. As part of the Cotton Kingdom, planters depended on slave labor. In 1860, 30% of the total state population of 604,215 were enslaved. In the statewide election on the secession ordinance, Texans voted to secede from the Union by a vote of 46,129 to 14,697 (a 76% majority). The Secession Convention immediately organized a government, replacing Sam Houston when he refused to take an oath of allegiance to the Confederacy. 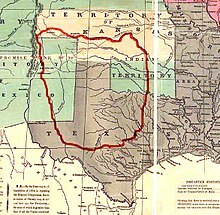 Texas declared its secession from the United States on February 1, 1861, and joined the Confederate States of America on March 2, 1861. With few battles in its territory, Texas was mainly a "supply state" for the Confederate forces until mid-1863, when the Union capture of the Mississippi River made large movements of men, horses or cattle impossible. Texas regiments fought in every major battle throughout the war. The last battle of the Civil War, the Battle of Palmito Ranch, was fought in Texas on May 12, 1865. The 2nd Texas Cavalry Battalion (U.S.) (one of only two from the state) took part. Support for the Confederacy was perhaps weakest in Texas; Elliott estimates that only a third of the white men in early 1861 supported the Confederacy. Many unionists supported the Confederacy after the war began, but many others clung to their unionism throughout the war, especially in the northern counties, the German districts, and the Mexican areas. Local officials harassed unionists and engaged in large-scale massacres against unionists and Germans. In Cooke County, 150 suspected unionists were arrested; 25 were lynched without trial and 40 more were hanged after a summary trial. Draft resistance was widespread, especially among Texans of German or Mexican descent; many of the latter went to Mexico. Potential draftees went into hiding, Confederate officials hunted them down, and many were shot. On August 1, 1862 Confederate troops executed 34 pro-Union German Texans in the "Nueces Massacre" of civilians. When news of the Emancipation Proclamation arrived in Galveston on June 19, 1865, freed slaves rejoiced, creating the celebration of Juneteenth. The State had suffered little during the war, but trade and finance had been disrupted. Angry returning veterans seized state property, and Texas went through a period of extensive violence and disorder. Most outrages took place in northern Texas; outlaws based in the Indian Territory plundered and murdered without distinction of party. Many free blacks were able to become businessmen and leaders. Through the young Republican Party blacks rapidly gained political power. Indeed, blacks comprised 90% of the Texas Republican Party during the 1880s. Norris Wright Cuney, an African American from Galveston, rose to the chairmanship of the Texas Republican Party and even the national committeeman. Like other Southern states, by the late 1870s white Democrats regained control of the state legislature. They passed a new constitution in 1876 that segregated schools and established a poll tax to support them, but it was not originally required for voting. Within the Republican Party the Lily-white movement emerged, a movement to wrest control of the party by whites and eliminate black influence altogether. The movement had its origins in Texas but spread across the nation. This in addition to wider efforts to restrict the influence of non-whites rapidly reversed the fortunes of the black population. Racial violence continued by whites against blacks as they enforced white supremacy. Despite this, freedmen pursued education, organize new churches and fraternal organizations, and entered politics, winning local offices. By the 1890s, more than 100,000 blacks were voting in state elections. In 1896 and 1898, Republican Robert B. Hawley was elected to Congress from the state by a plurality, when most white voters split between the Democratic and Populist parties. Democrats were determined to end competition by Republicans and Populists, and reviewed what other Southern states were doing to disenfranchise blacks and poor whites. Mississippi's new constitution of 1890 had survived a Supreme Court case, although in practice it was highly discriminatory against freedmen. Much of Texas politics of the remainder of the 19th century centered on land use. Guided by the federal Morill Act, Texas sold public lands to gain funds to invest in higher education. In 1876, the Agricultural and Mechanical College of Texas opened, and seven years later the University of Texas at Austin began conducting classes. New land use policies drafted during the administration of Governor John Ireland enabled individuals to accumulate land, leading to the formation of large cattle ranches. Many ranchers ran barbed wire around public lands, to protect their access to water and free grazing. This caused several range wars. Governor Lawrence Sullivan Ross guided the Texas Legislature to reform the land use policies. The coming of the railroads in the 1880s ended the famous cattle drives and allowed ranchers to market their cattle after a short drive, and farmers move their cotton to market cheaply. They made Dallas and other cities the centers of commercial activity. Ft. Worth became the gateway to the west, via the Fort Worth and Denver Railway. However the passenger trains were often the targets of armed gangs. Governor Lawrence Sullivan Ross had to personally intervene to resolve the Jaybird-Woodpecker War (1888-1889) among factions of Democrats in Fort Bend County; at bottom, it was a racial conflict. The majority population was black by a large margin, and had been electing county officers for 20 years. But, the white elite Democrats wanted their own people in power. Conflict became violent and the Jaybirds ordered several blacks out of town. Tensions increased and a total of seven people were killed. In the fall of 1889, the Democratic Party created "white-only pre-primary elections," which in practice were the only competitive contests in the county, and thus disenfranchised the blacks. This situation lasted until the US Supreme Court ruling in Terry v. Adams (1953) declared it unconstitutional in the last of the white primary cases. Under Jim Hogg, the state turned its attention toward corporations violating the state monopoly laws. In 1894, Texas filed a lawsuit against John D. Rockefeller's Standard Oil Company and its Texas subsidiary, the Waters-Pierce Oil Company of Missouri. Hogg and his attorney-general argued that the companies were engaged in rebates, price fixing, consolidation, and other tactics prohibited by the state's 1889 antitrust act. The investigation resulted in a number of indictments, including one for Rockefeller. Hogg requested that Rockefeller be extradited from New York, but the New York governor refused, as Rockefeller had not fled from Texas. Rockefeller was never tried, but other employees of the company were found guilty. Galveston, the fourth-largest city in Texas and then the major port, was destroyed by a hurricane with 100 mph (160 km/h) winds on September 8, 1900. The storm created a 20 ft (6.1 m) storm surge when it hit the island, 6–9 ft (1.8–2.7 m) higher than any previously recorded flood. Water covered the entire island, killing between 6,000 and 8,000 people, destroying 3,500 homes as well as the railroad causeway and wagon bridge that connected the island to the mainland. To help rebuild their city, citizens implemented a reformed government featuring a five-man city commission. Galveston was the first city to implement a city commission government, and its plan was adopted by 500 other small cities across the United States. In the aftermath of the Galveston disaster, action proceeded on building the Houston Ship Channel to create a more protected inland port. Houston quickly grew once the Channel was completed, and rapidly became the primary port in Texas. Railroads were constructed in a radial pattern to link Houston with other major cities such as Dallas-Fort Worth, San Antonio, and Austin. By 1900, the Dallas population reached 38,000 as banking and insurance became major activities in the increasingly white-collar city, which was now the world's leading cotton center. It was also the world's center of harness making and leather goods. Businessmen took control of civic affairs; with little municipal patronage, there was only a small role for the Democratic Party to play. The predominantly black Republican Party was essentially closed out of politics by the disenfranchisement in 1901 of most blacks through imposition of a poll tax (see below). Determined to control politics in the state, reduce competition from Republicans and Populists, and close blacks out of politics, in 1901 the Democrat-dominated state legislature passed a poll tax as a requirement for voting. Given the economic difficulties of the times, the poll tax caused participation by African Americans, poor whites, and Mexican Americans to drop sharply, effectively disenfranchising more than one-third of the population of the state. By the early 20th century, the Democratic Party in Texas started using a "white primary." Restricting the Democratic primary to white voters was another way of closing minorities out of politics, as the primary was the only competitive contest for office in the one-party state. By 1906, the number of black voters had dropped from more than 100,000 in the 1890s to 5,000. The state also passed a law for white primaries. In 1896, 86.6% of all voters in Texas voted in the presidential election; following disenfranchisement, voter turnout in 1904 was 29.2% and in 1920 was 21.6%. When the Supreme Court ruled in 1923 that white primaries established by political parties were unconstitutional, in 1927 the Texas state legislature passed a bill that authorized political parties to establish their internal practices. The Democratic Party reinstated the white primary. That law survived until 1944 before another Supreme Court case ruled that it was unconstitutional. After 1944, the NAACP and other organizations worked to register black voters and participation increased. But the major disenfranchisement continued until passage in the mid-1960s of civil rights legislation, including the Voting Rights Act of 1965, to provide for federal oversight in areas in which historically minorities did not vote in expected numbers based on population. The Praetorian Building in Dallas, completed 1909, was the first skyscraper west of the Mississippi and the tallest in Texas. Texans in 1909 marked an icon of progress with the construction of the first skyscraper west of the Mississippi. The 190-foot steel-frame skyscraper was the 14-story Praetorian Building, housing the Praetorian Insurance Company. Dallas became the regional headquarters of the Federal Reserve in 1914, strengthening its dominance of Texas banking. The city had reached 260,000 population by 1929 when the effects of the Stock Market Crash hit Texas, causing a sharp drop in the prices of oil, cotton and cattle; growth came to a standstill. On the morning of January 10, 1901, Anthony F. Lucas, an experienced mining engineer, drilled the first major oil well at Spindletop, a small hill south of Beaumont, Texas. The East Texas Oil Field, discovered on October 5, 1930, is located in east central part of the state, and is the largest and most prolific oil reservoir in the contiguous United States. Other oil fields were later discovered in West Texas and under the Gulf of Mexico. The resulting Texas Oil Boom permanently transformed the economy of Texas, and led to its most significant economic expansion after the Civil War. The economy, which had experienced significant recovery since the Civil War, was dealt a double blow by the Great Depression and the Dust Bowl. After the Stock Market Crash of 1929, the economy suffered significant reversals. Thousands of city workers became unemployed, many of whom depended on federal relief programs such as FERA, WPA and CCC. Thousands of unemployed Mexican citizens received one-way bus tickets to their home villages in Mexico. Farmers and ranchers were especially hard hit, as prices for cotton and livestock fell sharply. Beginning in 1934 and lasting until 1939, the Dust Bowl, an ecological disaster of severe wind and drought, caused an exodus from Texas and the surrounding plains, in which over 500,000 Americans were homeless, hungry and jobless. Thousands left the region forever to seek economic opportunities in California. For the majority of farmers who remained, the New Deal's Agricultural Adjustment Act was a crash program started in 1933 that in two weeks signed up cotton growers, even as agents and committeemen faced poor roads, bureaucratic delays, inadequate supplies, balking mules, and language barriers. It brought recovery by the mid-1930s, raising cotton prices by controls on how much farmers could plant. 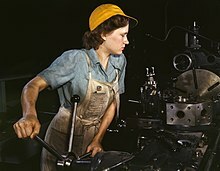 World War II had a dramatic effect on Texas, as federal money poured in to build military bases, munitions factories, POW detention camps and Army hospitals; 750,000 young men left for service; the cities exploded with new industry; the colleges took on new roles; and hundreds of thousands of poor farmers left for much better-paying war jobs, never to return to agriculture. Texas needed more farm workers. The Bracero Program brought in 117,000 Mexicans to work temporarily. Existing military bases in Texas were expanded and numerous new training bases were built: Texas World War II Army Airfields; Brooke Army Medical Center, Camp Mabry, Corpus Christi Army Depot, Fort Bliss, Fort Hood, Fort Sam Houston, Ingleside Army Depot, Red River Army Depot, especially for aviation training. The good flying weather made the state a favorite location for Air Force training bases. In the largest aviation training program in the world, 200,000 graduated from programs at 40 Texas airfields, including 45,000 pilots, 12,000 bombardiers, 12,000 navigators, and thousands of aerial gunners, photographers, and mechanics. Fred Allison in a study of Majors Field, the Army Air Forces Basic Flying School, at Greenville during 1942–45, shows that the base—like most military bases in rural Texas—invigorated the local economy, but also changed the cultural climate of the conservative Christian town, especially around unprecedented freedom regarding alcohol, dating and dancing, and race relations. The Lone Star Army Ammunition Plant and the Longhorn Army Ammunition Plant were built as part of the WWII buildup. Hundreds of thousands of American (and some allied) soldiers, sailors and airmen trained in the state. All sectors of the economy boomed as the homefront prospered. Harmon General Hospital, one of the Army's largest, opened in Longview in November 1942 with 157 hospital buildings and a capacity of 2,939 beds. The facility was designed for the treatment of soldiers with central nervous system syphilis, psychiatric disorders, tropical illnesses, and dermatological diseases. At the end of the war, the facility was adapted for use as the campus of LeTourneau University. Baylor University, like most schools, was successful in the multiple missions of aiding national defense, recruiting soldiers, and keeping the institution operational while the war continued. Texas Tech University likewise had many roles in the war; the most famous was the War Training Service Pre-Flight program during 1943–44. It prepared Air Force pilots for full-fledged military aviation training. The efforts of Clent Breedove and M. F. Dagley, private contractors for the Civilian Pilot Training Program at the university site since 1939, with Harold Humphries as chief pilot, brought an economic boost to Lubbock. 3,750 cadets received classroom instruction and flying time. From February 1943 to January 1944, more than 2,000 women completed training at the Women's Army Auxiliary Corps Branch Number One, Army Administration School, at Stephen F. Austin State Teacher's College in Nacogdoches. Tens of thousands of new migrants streamed in from rural areas, straining the city's housing supply and the city's ability to provide local transit and schools. For the first time, high-paying jobs went to large numbers of women, blacks and Mexican Americans. The city's African-American community, emboldened by their newfound prosperity, increased its agitation for civil rights; they backed and funded the legal case of Smith v. Allwright (1944), in which the Supreme Court ruled against the latest version of the white primary in support of voting rights. Throughout East Texas, black family growth and dissolution came more rapidly than in peacetime; blacks were more mobile as an adjustment to employment opportunities. There was a more rapid shift to factory labor, higher economic returns, and a willingness of whites to tolerate the change in black economic status so long as the traditional "Jim Crow" social relations were maintained. Beginning in 1949, Texas was hit with a devastating drought that extended until 1957. Rainfall decreased 30 to 50 percent, while temperatures rose, killing crops, livestock, and triggering a rise of dust storms. As a result, the number of Texas farms and ranches declined by nearly 100,000, and Texas experienced a period of mass urbanization as the rural population moved to the city to rebuild their livelihoods. The state's rural population declined from more than a third of the population to a quarter. As a result, the Texas Water Development Board was created in 1957, and the state began a period of building a diverse system of water conservation plans. This included increasing access to groundwater, and creating lakes by damming rivers. On Friday, November 22, 1963, in Dallas, Texas, at 12:30 pm Central Standard Time (18:30 UTC), Lee Harvey Oswald, an alienated loner, assassinated President John F. Kennedy. The Texas Governor, John B. Connally, was also shot but survived. The episode caused a national outrage focused on right wing elements in Dallas that had long been hostile to Kennedy. For a half-century and more the people of Dallas still struggle with being branded as having some responsibility. The Sixth Floor Museum at Dealey Plaza, located where the assassin is believed to have fired the shots, has become a historic tourist site. From 1950 through the 1960s, Texas modernized and dramatically expanded its system of higher education. Under the leadership of Governor Connally, the state produced a long-range plan for higher education, a more rational distribution of resources, and a central state apparatus that managed state institutions with greater efficiency. Because of these changes, Texas universities received federal funds for research and development during the John F. Kennedy and Lyndon B. Johnson administrations. Prior to the mid-20th century Texas was essentially a one-party state, and the Democratic primary was viewed as "the real election". The Democratic Party had conservative and liberal factions, which became more pronounced after the New Deal. Additionally, several factions of the party briefly split during the 1930s and 40s. ^ a b c Hester, Thomas R.; Turner, Ellen Sue (December 16, 2010). "Prehistory". Handbook of Texas (online ed.). Texas State Historical Association. ^ Sutherland, Kay (2006). Rock Paintings at Hueco Tanks State Historic Site (PDF) (Report). Austin: Texas Parks & Wildlife. ^ Fry, Phillip L. (March 7, 2016) [June 15, 2010]. "Texas, Origin of Name". Handbook of Texas (online ed.). Texas State Historical Association. ^ "Facts: The Government". Texas Almanac. Retrieved July 3, 2018. ^ * Weddle, Robert S. (1995). Changing Tides: Twilight and Dawn in the Spanish Sea, 1763–1803. Centennial Series of the Association of Former Students Number 58. College Station: Texas A&M University Press. p. 163. ISBN 978-0-89096-661-7. ^ a b Hämäläinen, Pekka (2008). The Comanche Empire. Yale University Press. p. 2. ISBN 978-0-3001-5117-6. ^ Gwynne, S.C. (2010). Empire of the Summer Moon. New York: Scribner. ISBN 978-1-4165-9105-4. ^ Gelo, Daniel J. (January 2000). "'Comanche land and ever has been': A Native Geography of the Nineteenth-century Comancheria". Southwestern Historical Quarterly. 103 (3): 273–307. JSTOR 30239220. ^ Blake, Tom (2005). "Large Slaveholders of 1860". RootsWeb. Ancestry.com. Archived from the original on September 5, 2015. Retrieved November 2, 2015. ^ Roell, Craig H. (April 13, 2016) [June 12, 2010]. "Coleto, Battle of". Handbook of Texas (online ed.). Texas State Historical Association. .
^ "Remember Goliad!". Texas A&M University Press. Retrieved December 18, 2018. ^ Cutrer, Thomas W. (June 12, 2010). "Dawson Massacre". Handbook of Texas (online ed.). Texas State Historical Association. ^ Gerhardt Britton, Karen; Elliott, Fred C.; Miller, E. A. "Cotton Culture". Handbook of Texas (online ed.). Texas State Historical Association. ^ Campbell, Randolph B. (2009) . An Empire for Slavery: The Peculiar Institution in Texas, 1821–1865 (11th ed.). Louisiana State University Press. ISBN 978-0-8071-1505-3. ^ Machann, Clinton. "Czechs". Handbook of Texas (online ed.). Texas State Historical Association. ^ Reynolds, Donald E. (June 15, 2010). "Texas Troubles". Handbook of Texas Online. Texas State Historical Association. ^ "Historical Census Browser, 1860 US Census". University of Virginia. Archived from the original on August 23, 2007. Retrieved March 15, 2008. ^ Ramsdell, Charles W. (1910). Reconstruction in Texas. New York: Columbia University. ^ Ericson, Joe E.; Wallace, Ernest (June 12, 2010). "Constitution of 1876". Handbook of Texas (online ed.). Texas State Historical Association. ^ History of Texas from the Handbook of Texas Online Texas State Historical Association. ^ a b Dulaney, W. Marvin (June 9, 2010). "African Americans". Handbook of Texas (online ed.). Texas State Historical Association. ^ Dethloff, Henry C. (June 15, 2010). "Texas A&M University". Handbook of Texas (online ed.). Texas State Historical Association. ^ Reed, S. G. (1941). A History of the Texas Railroads: And of Transportation Conditions Under Spain and Mexico and the Republic and the State. ^ Yelderman, Pauline (June 15, 2010). "Jaybird-Woodpecker War". Handbook of Texas (online ed.). Texas State Historical Association. ^ Johnson, Paul (2000). A History of the American People. Orion Publishing Group. p. 661. ISBN 978-1-84212-425-3. ^ a b "5.3: Historical Barriers to Voting". Texas Politics. Liberal Arts Instructional Technology Services, University of Texas at Austin. 2006. Archived from the original on October 4, 2015. Retrieved November 2, 2015. ^ "Turnout in Presidential Elections: Texas, the South and the Nation, 1848-2012". Texas Politics. Liberal Arts Instructional Technology Services, University of Texas at Austin. 2006. Retrieved November 2, 2015. ^ Jay C. Henry (1993). Architecture in Texas: 1895-1945. U of Texas Press. p. 133. ^ Hoffman, Abraham (1974). Unwanted Mexican Americans in the Great Depression: Repatriation Pressures, 1929-1939. Tucson: University of Arizona Press. ISBN 9780816503667. ^ "First Measured Century: James Gregory Interview". PBS.org. Retrieved November 2, 2015. ^ Lee, James Ward; Barnes, Carolyn N.; Bowman, Kent Adam, eds. (1991). Texas Goes to War: 1941. University of North Texas Press. ISBN 978-0-9293-9829-7. ^ Fairchild, Louis (2012) . They Called It the War Effort: Oral Histories from World War II Orange, Texas (second ed.). Denton: Texas State Historical Association. ISBN 978-0-8761-1259-5. .
^ Alexander, Thomas E. (2001). The Stars Were Big and Bright: The United States Army Air Forces and Texas during World War II. Austin: Eakin. ISBN 978-1-5716-8554-4. ^ Allison, Fred H. (1999). "Patriotic Prosperity and Social Change in World War II: The Impact of Majors Field on Greenville, Texas". Sound Historian: Journal of the Texas Oral History Association. 5 (1): 37–51. ISSN 1077-2979. ^ Waters, Michael R. (2004). Lone Star Stalag: German Prisoners of War at Camp Hearne. College Station: Texas A&M University Press. ISBN 978-1-58544-318-5. ^ Krammer, Arnold P. (June 15, 2010). "German Prisoners of War". Handbook of Texas (online ed.). Texas State Historical Association. ^ Levengood, Paul Alejandro (1999). For the Duration and Beyond: World War II and the Creation of Modern Houston, Texas (PDF) (Ph.D. dissertation). Rice University. ^ Tedesco, John (September 11, 2015). "1950s drought plagued Texas for seven long years". San Antonio Express-News. Retrieved March 4, 2016. ^ Mashhood, Farzad (August 4, 2011). "Current drought pales in comparison with 1950s 'drought of record". Statesman. Statesman Media. Retrieved March 4, 2016. ^ Bugliosi, Vincent (2007). Reclaiming History: The Assassination of President John F. Kennedy. WW Norton & Company. ISBN 978-0-3930-4525-3. ^ Fagin, Stephen (2013). Assassination and Commemoration: JFK, Dallas, and The Sixth Floor Museum at Dealey Plaza. Norman: University of Oklahoma Press. ISBN 978-0-8061-8992-5. ^ a b c d e f Calvert, Robert A. "Texas Since World War II". Texas State Historical Association. Retrieved January 19, 2017. ^ a b "Political Parties". Handbook of Texas Online. Retrieved December 16, 2016. ^ a b "History of Texas Voters". newschannel10.com. November 8, 2016. Retrieved December 16, 2016. ^ a b "How Texas Became a "Red" State - Frontline". PBS. April 12, 2005. Retrieved December 16, 2016. ^ a b "The Texas Gerrymander". New York Times. March 1, 2006. Retrieved January 7, 2009. ^ The Associated Press (June 28, 2006). "Justices Back Most G.O.P. Changes to Texas Districts". New York Times. Retrieved June 28, 2006. ^ a b Fernandez, Manny (May 27, 2014). "Lieutenant Governor Loses Texas Runoff as Tea Party Holds Sway". The New York Times. Retrieved December 3, 2016. ^ Koppel, Nathan (January 21, 2015). "Texas Lt. Gov. Dan Patrick Moves Quickly to Advance Conservative Agenda". The Wall Street Journal. Retrieved December 16, 2016. ^ a b Grissom, Brandi (May 28, 2014). "Tea Party Conservatives Win Top GOP Runoff Contests". The Texas Tribune. Retrieved December 3, 2016. ^ Fernandez, Manny (January 20, 2015). "Texas' New Governor Echoes the Plans of Perry". The New York Times. Retrieved December 16, 2016. Bagur, Jacques D. (2012). Antebellum Jefferson, Texas: Everyday Life in an East Texas Town. Denton: University of North Texas Press. ISBN 978-1-5744-1265-9. Winegarten, Ruthie, ed. (2014). Black Texas Women: A Sourcebook. University of Texas Press. pp. 44–69. CS1 maint: Multiple names: authors list (link) CS1 maint: Extra text: authors list (link), primary sources. Hubert Howe Bancroft. The Works of Hubert Howe Bancroft. Jordan, Terry G. German Seed in Texas Soil: Immigrant Farmers in Nineteenth Century Texas (1966). Ramsdell, Charles W., "Presidential Reconstruction in Texas ", Southwestern Historical Quarterly, (1907) v.11#4 277 - 317. Harper, Cecil, Jr (June 12, 2010). "Freedmen's Bureau in Texas". Handbook of Texas (online ed.). Texas State Historical Association. Jordan, Terry G. Trails to Texas: Southern Roots of Western Cattle Ranching (1981). Alvin R. Bailey Jr. and Light Townsend Cummins, eds. A Guide to the History of Texas. Greenwood Press. 1988. This page was last edited on 12 April 2019, at 04:30 (UTC).